The thought of homeschooling high school can seem daunting even to the most passionate homeschooling family.And, truth be told, many families start out without even the thought of homeschooling high school (at least not without a bit of fear and trepidation)… But it doesn’t need to be that way! 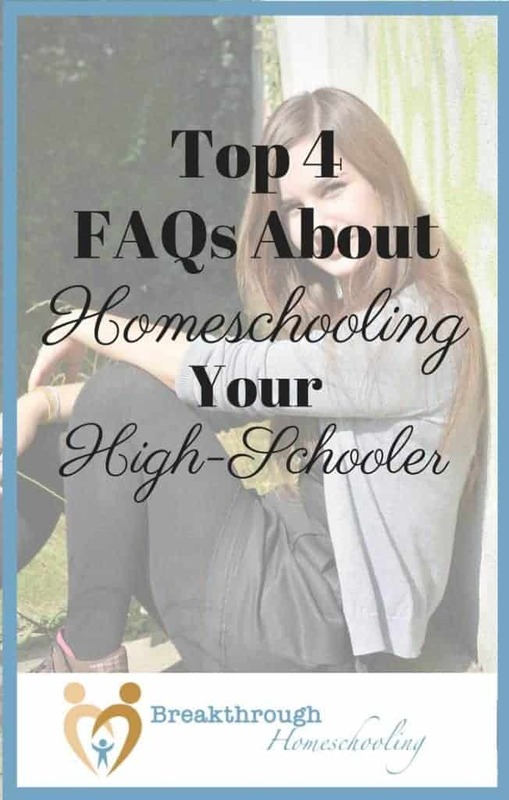 Here are 4 of the most common questions I get related to homeschooling your high school aged student. 1. How do I know what to teach my high school student? There’s lots of help in that area! First of all, graduation requirements are decided by your state only for the public school system, and they do not apply to your homeschool. You, as parent/teacher/principal, decide on what should be required. With that said, don’t go making requirements will-nilly, or go “soft” on your non-academically-oriented student. First, check out World Book Encyclopedia’s Typical Course of Study. While I suggest that you keep things simple, their resource will give you an overview of what academic expectations a student is generally expected to have. Next, if your child is college-bound, begin to look at schools they may be interested in to see what admissions requirements they have. You can usually get this information at the school’s website; if not, make a quick phone call to the admissions office and ask them to send you the information through the mail. Here is an example of a state school’s requirements. 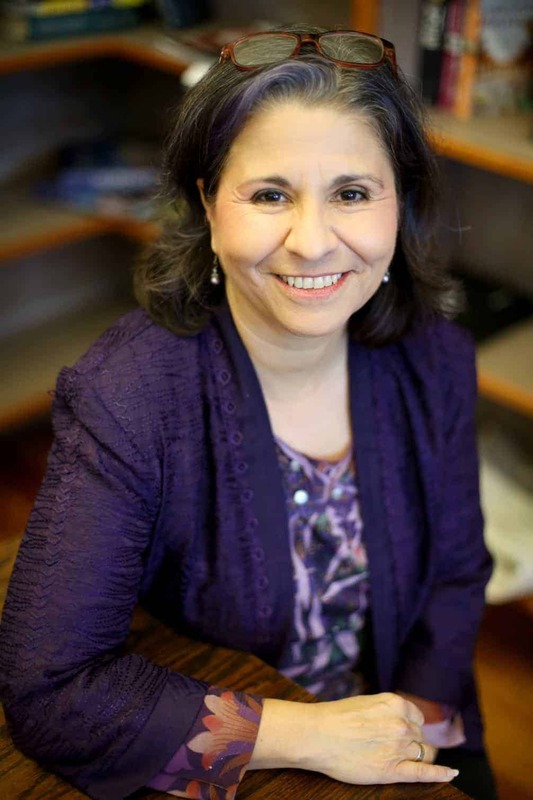 Finally, to “get moving,” please take a moment and read this wonderful article on approaching a high school course of study for your child, by Donna Young. 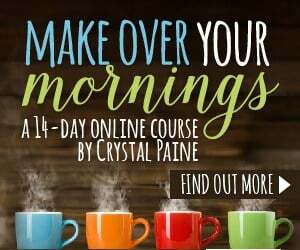 She is one of the first homeschoolers I found on the web “way back when” and has lots of solid advice to offer! 2. How can I teach advanced subjects? Not to fear, resources abound! First of all, check with people in your local support group to see what services might be available in your community. For example, when my kids needed high school science labs, our support group had enough teens in the same boat that we approached the local community college. They put a semester-long lab together, using a textbook that we had recommended, provided the lab and teacher, and “made it happen” for us. There was a fee, but it was much less than if we’d have had to buy all the equipment and supplies ourselves. Sometimes there are classes available in continuing education; sometimes the school will allow your student to audit a class (you, however, can give class credit for it). Outsourcing certain subjects is a valid option in a parent-directed high school program! When your child is in their junior and senior year, many junior colleges offer joint or dual enrollment. This enables your high student to attend class in a college setting and get both college and high school credit at the same time! If this program isn’t available to you locally, many schools now offer this online. Or, you can check out this online dual enrollment program, started by a homeschooling family who discovered a need and ran with it! Ask around at local museums to see if there are fine arts or science classes available; and if need be, get together with some other parents of high school students and see what options you can put together as a team. Co-op classes, as these are called, are great ways to pool and use the wide range of knowledge, skills, and abilities of the people around you! Finally, if your teen is self-directed and resourceful, they may be able to earn some college credit by testing, through CLEP (College Level Examination Program) tests. 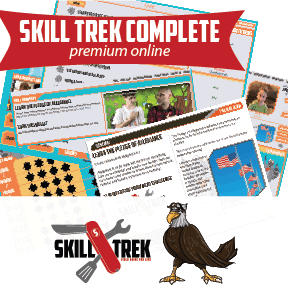 Check out this summary of the program (from a homeschool perspective) and an online tool your teen can use for preparing for them. The only thing that transcripts do is to put all that wonderful learning your child has experienced and put it in “school administrator-ese.” This was a hurdle I was initially intimidated by as well. If the thought of doing that scares you too, take a deep breath and relax. We’ve put together a transcript template form together and 1-page, easy peasy step by step directions to calculate a high-school GPA so you can put it all together! Nope, it’s not rocket science – you CAN do this! Subscribe to this site and you’ll get access to both my transcript template and directions to calculate GPA! 4. Will they get into college? They have as good a chance as any student in a traditional school! As the homeschool movement grows, more and more colleges see what good students homeschoolers are: out-of-the-box thinkers, self-starters, motivated, creative, knowing “how” to learn…everything that breeds success in higher-level academia. According to a survey completed in 2004 and published by HSLDA, homeschooled students taking the ACT scored an average of 22.6, compared to the national average of 20.9, putting them ahead of their traditionally-educated peers. This study is still the largest research survey to date of home-educated adults. Another study by Brian D Ray, included in the Bibliography of Research at the National Home Education Research Institute, showed no support for the idea that parents need to be trained and certified to successfully teach their children. A while back the New York Times put together a panel of admissions deans from Yale, Pomona College, Lawrence University and the University of Texas at Austin to answer selected questions from both readers and NY Times editors. 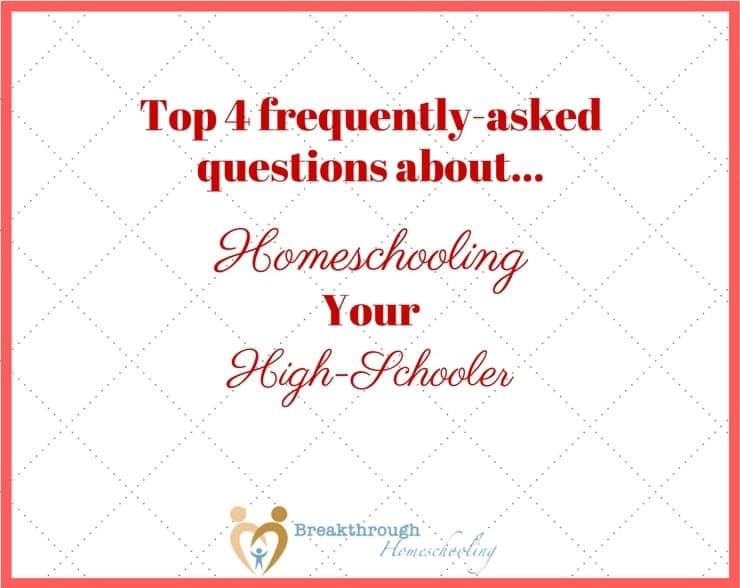 These covered topics from standardized testing, financial aid, applying to college, etc…all from a homeschooling perspective. The post on their blog also includes updates, links, panelist bios, and readers’ comments. It’s long, but very good and a “must read” if you have high-schoolers or plan on having them. I’d encourage you to take a look when you can. This article presents some essential test-prep options for both the SATs and the ACTs. But if you just need help getting started, you may want to consider my courses for new and beginning homeschoolers: “Everything you need to lay the groundwork for a quality home education experience!” Subscribe to this site today and get information on that course, as well as other courses, homeschool updates, information, and inspiration. #breakthrulinkup 33 - Calling all Homeschool High Schoolers! Great list! I have been shocked, by how many parents decide to switch to brick and mortar school in high school. The most often reason cited is that “I can’t teach the upper level stuff”. I agree with you completely, there are a ton of resources to help you. Dual enrollment is a great option for upper level students. I saw this at The Homeschool Nook. Thanks, Kim! That’s been my experience, too, although I have to admit that when I started hs’ing, that was our game plan as well. So happy we stuck with it, tho!! The relationships we developed through our local homeschool association were definitely a factor. While it is true that “bad company corrupts good morals”, the reverse works as well. My kids wanted to graduate with the friends they had grown to know and love over the years, and so we had very little resistance on their part to staying out of a traditional school to finish their education. Appreciate you stopping by…have a terrific week! I wish I could have homeschooled my children, I think homeschooling is so much more adaptable to the learning style of the child. 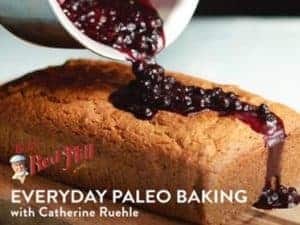 It would seem pretty daunting to homeschool through the final years and right before college but you have laid out a good plan with actionable steps that would answer some of my questions if I were a homeschooling mom. Good job. Hi Melissa! I hope you have no regrets… Homeschooling, as much as I advocate it, is not for everyone. I’m sure you did a great job with your kids, and that’s what matters! Thanks for your comments, and for stopping by!